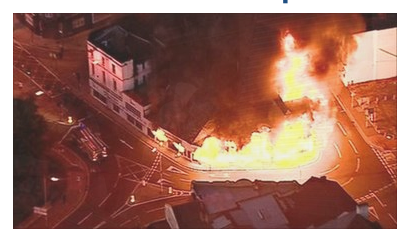 I’m watching the news and can hardly believe what I’m seeing as areas of London burn with no fire engines or police in sight, and mobs of primarily young people are roaming the streets and indiscriminately breaking into shops and looting whatever they can get their hands on. Jeremiah 29:7 …seek the peace and prosperity of the city to which I have carried you into exile. Pray to the LORD for it, because if it prospers, you too will prosper. We are all standing with you in prayers here in the Ph Pastor. God is in control.